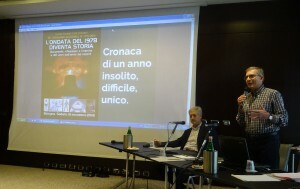 The 33rd edition of the annual National UFO Congress, organized by CISU, was held in Bologna on Saturday, November 10th, 2018. 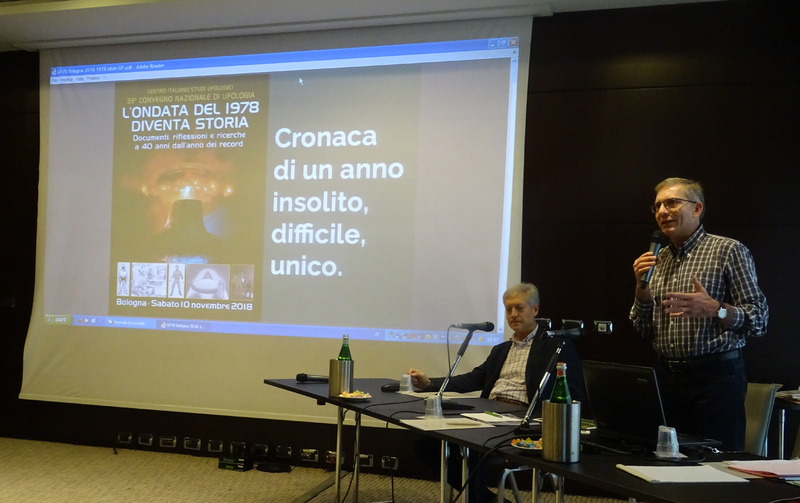 As announced, the conference them was “The 1978 Wave Becomes History – Documents, Reflections and Research 40 Years Later than that Exceptional Year”. The congress was not open to the public but a closed-shop workshop for members of the Italian Center for UFO Studies and interested scholars, so to allow free and in-depth discussion. Gian Paolo Grassino opened the proceedings with an introduction entitled “Chronicle of an Unusual, Difficult, Unique Year” which consisted of a month-by-month overview of the main events (more relevant sightings, more clamorous UFO news, ufological activities, facts or society events) in Italy during 1978. 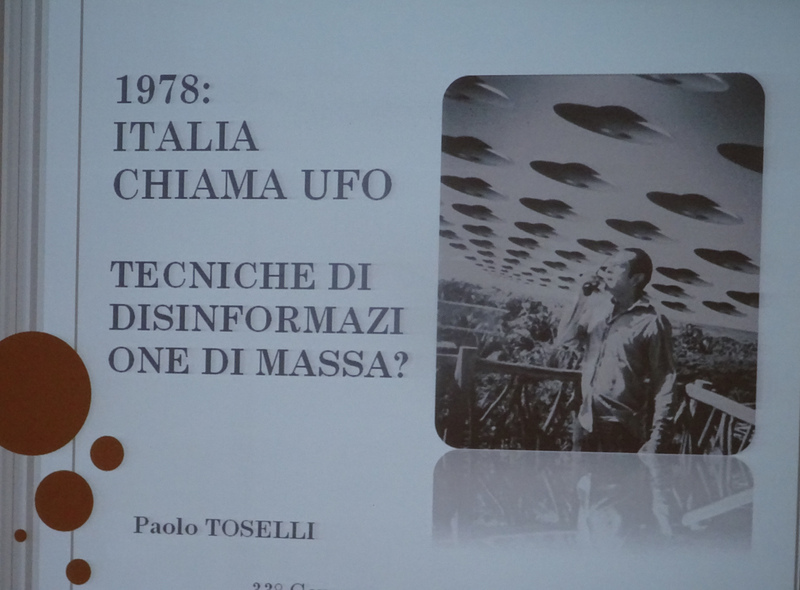 A deliberately provocative paper by Paolo Toselli followed: “1978: Italy calls UFO – mass disinformation techniques?”. By cleverly correlating the ambiguous role of some individuals (contactees, scientists, intellectuals, officials) in different moments, it raised the tongue-in-cheek question whether the wave was at least partly planned and built, for not admitted purposes. A lively discussion ensued. 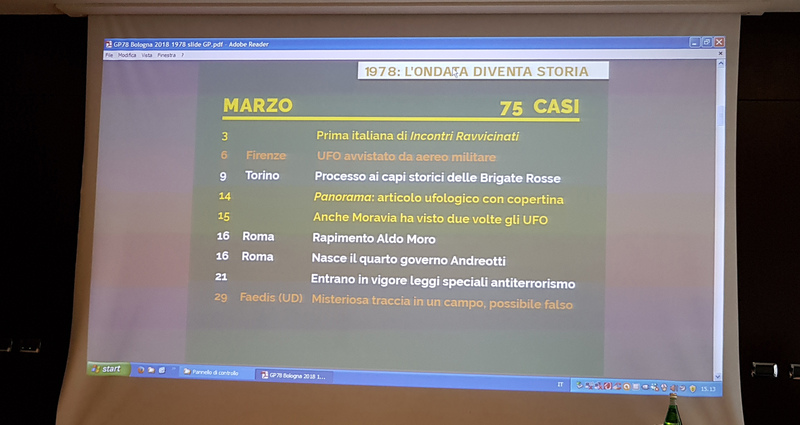 Third speech was Edoardo Russo‘s “1978: the Invasion?”, closely centered on the figures & data of what was then and still remains the record year in Italy (as of number of sightings, landings, encounters of the third kind, articles and news in newspapers, TV services, published books). 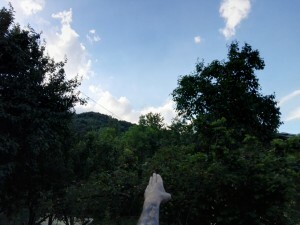 In view of the forty-year anniversary, the Italian Center for UFO Studies completed an extensive work of updating the case histories archive and catalog in recent months, bringing from 1,800 to over 2,300 Italian sightings collected and filed for that year alone (equal to 28% of all reports up to that time). In parallel, the complete digitalization of the newsclipping archive was completed, which for that year has got to over 2,200 articles or cuttings. 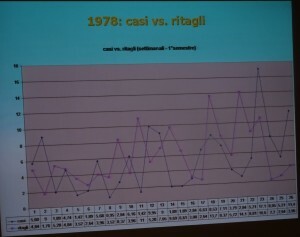 In addition to some monthly and weekly statistics from those two files, the trend of their time distributions was also compared, and the uniqueness of the Italian “1978 phenomenon” as compared to the rest of the world was highlighted. 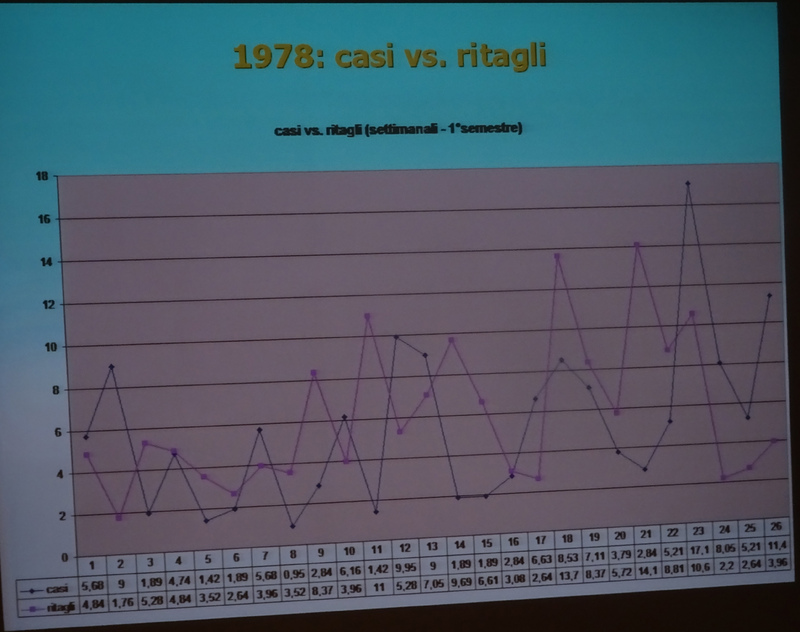 Both at the end of the speech and on the following day (before CISU members annual general meeting) several suggestions were proposed for further research on/from these data. 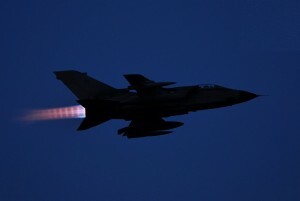 And that was precisely the intention and purpose of the conference: not a point of arrival but of departure. 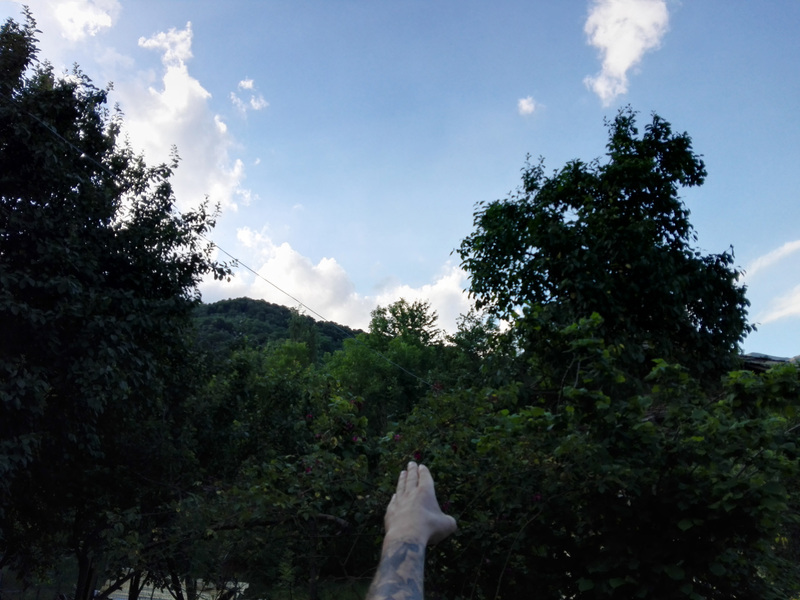 In order to relieve the discussion, it was again Grassino’s turn to talk about “Close Encounters of the Third Kind: the Film”, with little known UFO background about the genesis and production of Steven Spielberg’s blockbuster, the role played by astronomer-ufologist Joseph Allen Hynek and the Italian side of both items (the film and Hynek’s Italian journey in that spring of ’78, with its queue of public conferences, interviews in newspapers and TV, publication of his book). 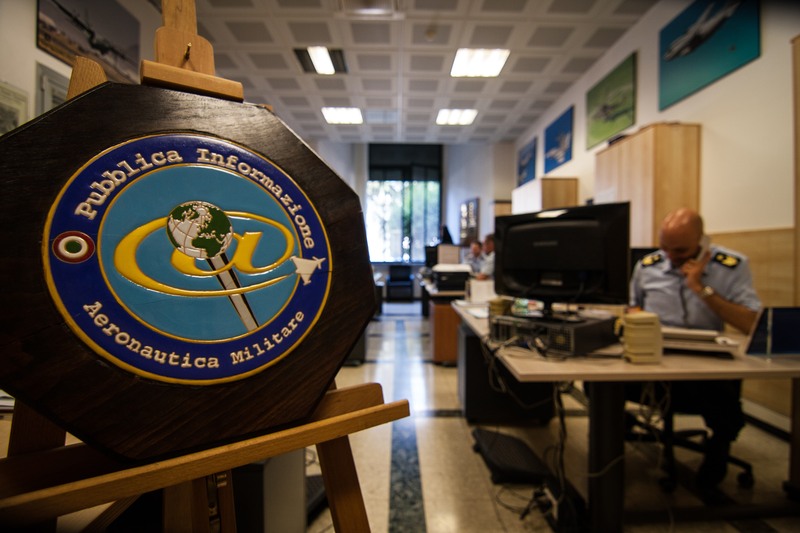 Four intense hours, but a strong stimulus for all the participants. The presentation slides of the papers and the whole recording of the speeches are available to CISU members, so to share the conference with those who were not able to attend.